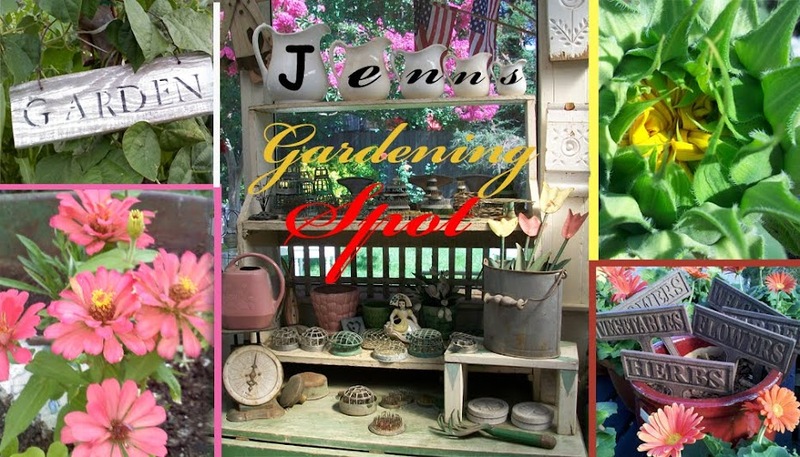 Jenn's Gardening Spot: Recycling in the garden! Plastic Make it Possible and a Recycling contest! Recycling in the garden! Plastic Make it Possible and a Recycling contest! Are you a garden recycle enthusiast? 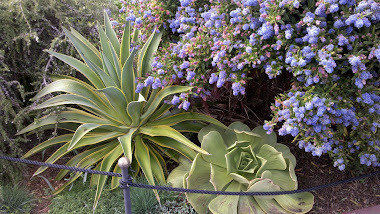 When it comes to gardening "being green" is not only about producing beautiful flowers, vegetables and shrubs. It's about being conscious about the products and tools we use around our home and garden space. Recycled plastics can be used for so many things such as, decking, verticle gardens, garden containers and even bird houses. 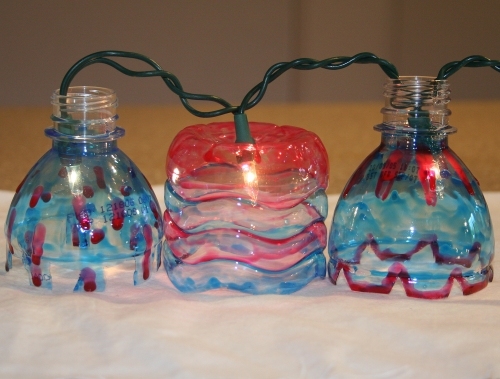 Great ways of giving used products a new, second life! Recycling Plastics to re-use in your garden is a good idea! I love to recycle items and make them work for me! Plastics are to valuable to waste! There are many ways to reuse and recycle plastics in the garden and we can help close the "recycling loop" by purchasing products made from recycled plastics! I love creating trellis's, planters and cloches from things I find around the house or even in junk piles on the side of the road. Recently, I turned the dresser part of a captain's bed into raised garden beds. I have also used dresser drawers as planter box's and even milk crates for growing potato's. I use 2-liter soda bottles as cloches and devices for watering plants. The possibilities are endless when it comes to recycling in the garden. A couple months ago I started following an Initiative called Plastic Make it Possible. Plastics Make it Possible®, an initiative sponsored by the plastics industries of the American Chemistry Council, highlights the many ways plastics inspire innovations that improve our lives, solve big problems and help us design a safer, more promising future. As I am always looking for company's that are trying to make a difference for our planet! This Initiative is a perfect match for me! Did you know plastics play a role in building a sustainable future by helping conserve resources for energy? One of the things I learned from their website. This website is jam packed with information for a newbie recycler to an experienced recycler! There are so many wonderful resources for learning on their website! Here comes the fun part! A CONTEST! Plastic Make it Possible and I have teamed up to see how creative you all can be with recycling plastic items in your garden! We want to see how creative you can be when it comes to turning recycled projects into amazing garden products. This is going to be so FUN! I will also be making some of the projects you submit for fun and to incorporate in to my own garden! 10 winners will be chosen for the most creative ideas and best use of recycling plastics in the garden! What you will win, A free T-shirt! 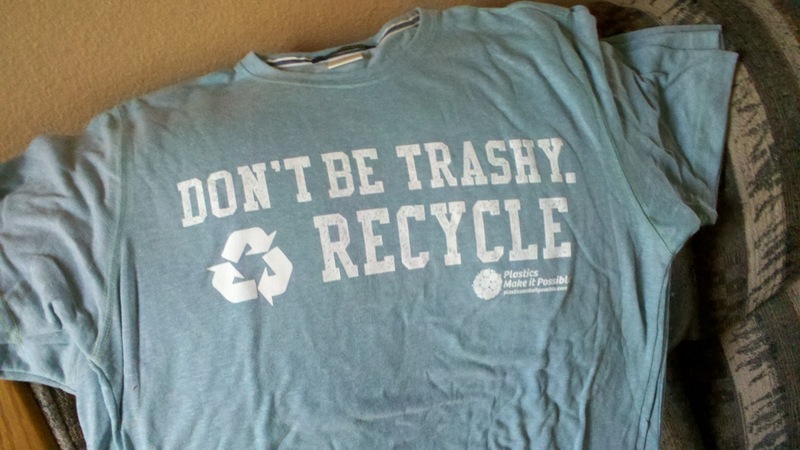 A shirt made from Recycled Plastic, pretty cool! The T-shirt says, Don't be Trashy....Recycle! Also their will be a grand prize winner! The prize will remain a secret until the winners are announced! Trust me the prize will be amazing! I hope you will check out Plastic Make it Possible they are a wonderful resource for recycling! I hope you will join in on some of the fun and submit your pictures on re-using plastics in your garden! It's great to recycle just remember if your using plastic to grow edibles make sure it's "food grade safe"
We already have an herb garden. It is a beautiful, quaint little spot on our land, surrounded by rocks with a quiet little birdbath at its center. 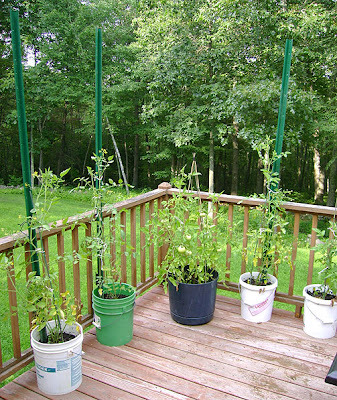 The herbs grow well and we manage to keep critters pretty far away (thanks to some Liquid Fence, mind you). But when I decided we needed to have more herbs to keep up with our canning and our cooking I thought it would be fun to do things a little different. My sister-in-laws church had just sponsored a fundraiser supper and had several dozen "green bean" cans left over from the food. When I saw them bagged up to be thrown out I immediately thought they would make ideal planting pots to put herbs in. We could easily decorate them, keep them watered, and add a little life to our porch with a new "kitchen garden." So, I grabbed 10 or so and went at it. 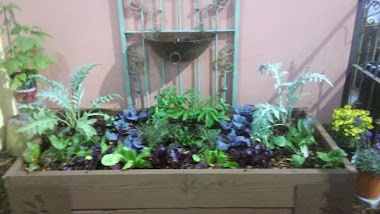 We now have a lovely sprouting of some great herbs including dill, cilantro, basil, oregano, marjoram, and rosemary. I would also like to note the seeds were given to me by Humbleseed (www.humbleseed.com) who have some AMAZING products. Love it!! This is such a cool contest!! Thanks Annie for the reminder on groing food in plastic! Andrew, What a great and fun project! I will be adding your pics soon! Thanks for always participating and sharing your projects with my readers! Lisa, I hope you will submit some pictures for this contest! Ooh, what a fun contest. I'll have to think of something creative... I haven't recycled that much plastic in the garden, I have recycled reclaimed wood and my husband made it into raised beds and a potting bench. It was so great to hear from you. A couple of years 'welly woof woof' was entered into one of your recycle competitions, I wonder what I can come up with this time. Loving that T-shirt. 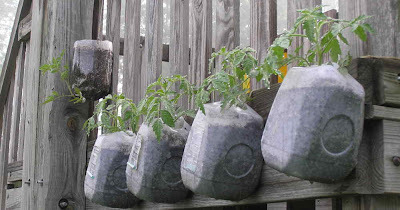 The larger kitty litter containers make great tomato pots, too! I just drill a few holes for drainage. That's a brilliant idea, and at the same time raising awareness to people the significance of recycling. I am totally supporting your endeavor... can I have one of those tee? Looks awesome!